Have you scheduled a check-up? Living in New England, we get our fair share of winter weather. The average yearly snowfall in Massachusetts is about 45 inches. Thankfully your house probably provides you and your family with shelter and protection from the cold and wintery mixes that we experience. That is why it is so important to make sure that your roof is in the best condition to be able to handle all that the weather throws at it. So friend, let me ask you, have you scheduled your roof a check-up? Here are some tips for checking on your roof and if you should consider hiring a professional. Examine any wear near the roof valleys. Water runs down these valleys and into the gutter, so they are prone to water damage. For asphalt shingles, look for cracks in the shingles. These will appear as black areas or lines. For shingle or shake roofs, look for curled pieces. They may turn upward or be broken, split or missing. For slate roofs, examine any black areas where the slate might be missing. Examine the area surrounding the vent pipes and chimney. Look for gaps, cracks or missing caulk. If you have binoculars, use them to examine the trim, flashing and area around the chimney for cracks, loose shingles and wear. Assess the eave overhangs for water stains. Inside the home, look underneath the roof for signs of discolored or stained ceilings. 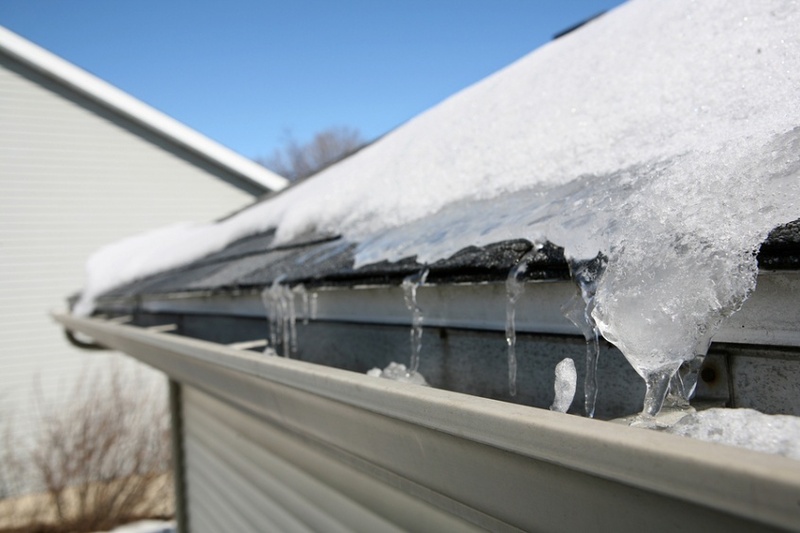 Checking your roof once all of the winter snow melts should be a yearly item on your to-do list. It is good to see how it handled a long winter of snow and ice – and if this is the year to do a roof replacement. You might feel like procrastinating with this seemingly large and overwhelming task, but don’t stress. We want to help you navigate figuring it all out! At US Siding & Construction, we are dedicated to making sure that your house stays in the best condition as possible and we would love to help you asses if your roof may need some TLC this year. We are a family operated, local business that wants to keep you and your family safe and happy. Here are some more things ABOUT US that we want you to know. Our workers are trained and licensed professionals in their trades. You will love them!